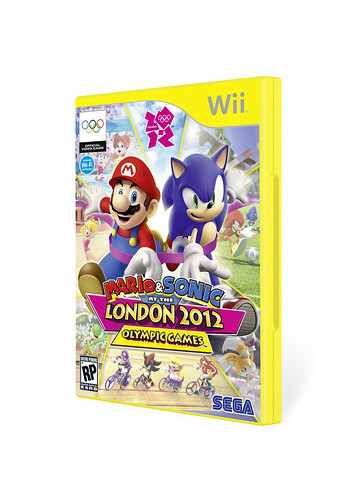 If you’re one of the few who isn’t following @SEGA already, you might’ve missed a little tweet update on Mario and Sonic at the London 2012 Olympic Games. We’ve got ourselves a few new screenshots for the 3DS and the Wii Game ( some of which contain Yoshi, making them officially superior to any screens not containing Yoshi) and the reveal of the final game box design which LE GASP, turns out to be yellow. One can only hope this sets a trend in which Wii game boxes will start getting more colorful, I personally can’t wait for polka dots.